Mykhailychenko Theater (Teatr im. H. Mykhailychenka). 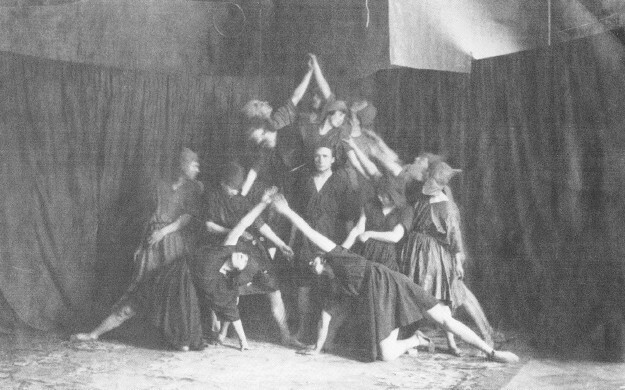 A leftist experimental theater-studio founded in 1920 in Kyiv as Tsentrostudiia under the leadership of Marko Tereshchenko. 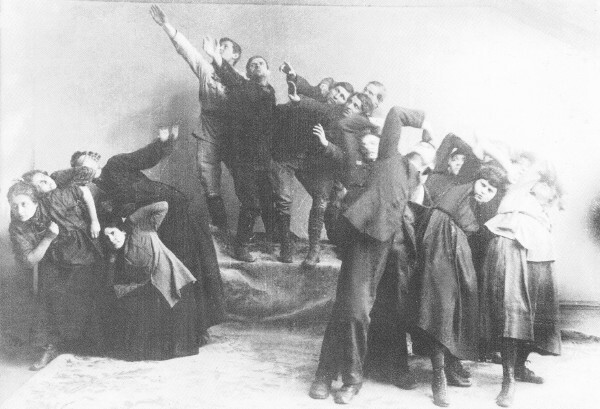 A former member of Molodyi Teatr, Tereshchenko denied the importance of the playwright, the director, and the actor as individuals and proclaimed Tsentrostudiia's creative platform of mystetstvo diistva ‘the art of the performance.’ Members of the theater worked out a so-called zaduma ‘conception,’ which essentially followed the ideals of the Proletkult. In May 1921 Tsentrostudiia was renamed in honor of the writer Hnat Mykhailychenko. Its first production, Pershyi budynok novoho svitu (The First Building in the New World, 1921), portrayed a struggle between the proletariat and capitalists, and its second one, Nebo horyt’ (The Sky Is Burning, 1922), portrayed a miners' uprising. Both performances were staged without scenery or dialogue and attempted to create a ‘theater of the collective art.’ The performance of Carnival (1923) included some episodes from contemporary life. Tereshchenko's attempts to adapt prose and drama works to the demands of the theater's cultural platform did not succeed, and early in 1926 the Mykhailychenko Theater ended its performances.